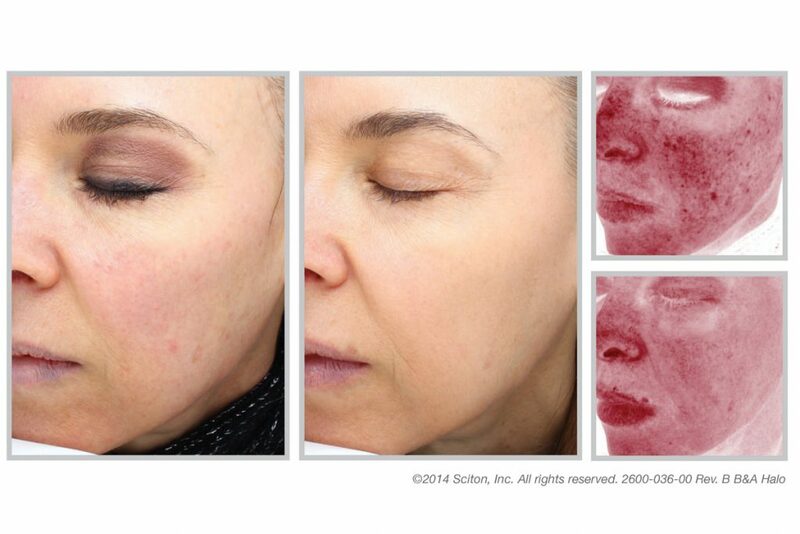 Halo is the worlds first and only hybrid fractional laser. The Halo is different in that it can deliver non-ablative and ablative wavelengths in a single pass to maximize results and control the amount of downtime usually associated with other fractional lasers. We are able to completely customize each patients treatment based on their skins needs and desired down time. 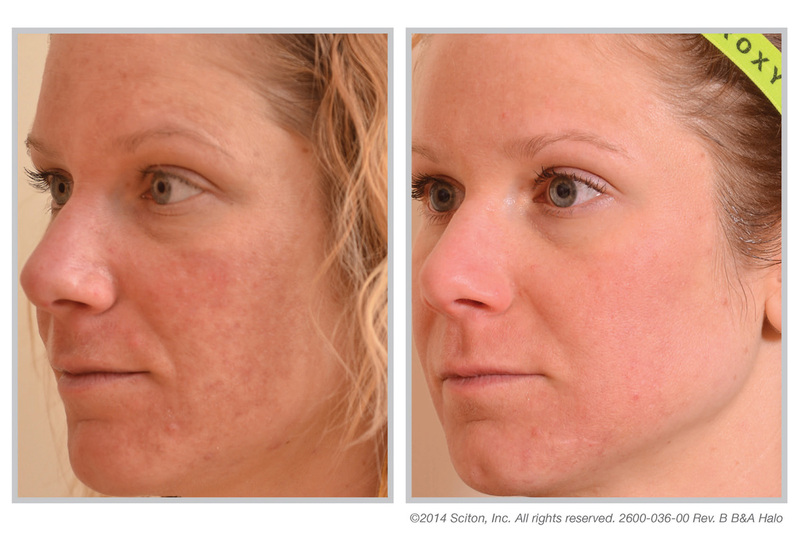 Halo will address and improve Fine lines/wrinkles, pores, hyperpigmentation, uneven skin tone, age spots, and acne scars. Traditional ablative lasers require 1-2 weeks of down time. With the Halo Hybrid we are able to focus the energy on the deeper collagen layers leaving the top layer of your skin intact for a quicker healing time. Halo delivers the results of an ablative procedure with little to no down time. My skin now feels like it did back in high school. It is so smooth and luminous and I feel like I can’t see the pores on my face anymore. I’ve never felt and looked better. Halo changes the paradigm. The unique dual wavelength delivers an unprecedented ability to customize treatments for each individual. 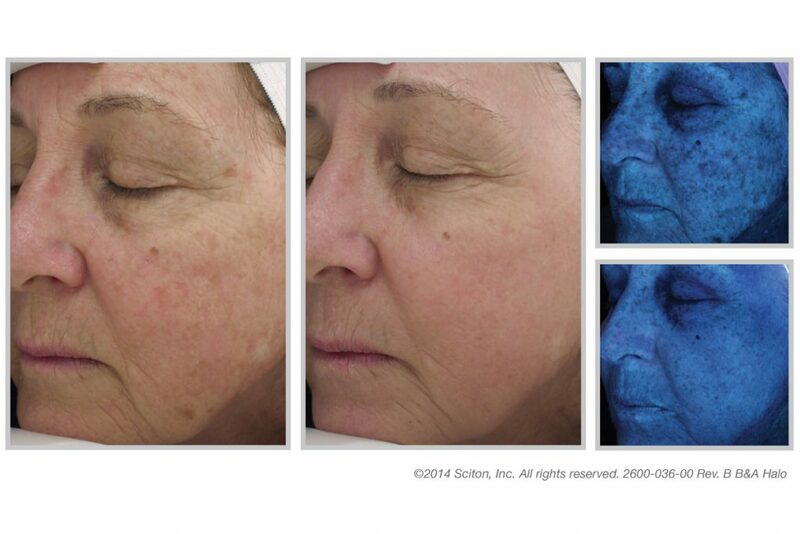 Every patient has different needs in terms of sun damage and downtime. With Halo, I can finally have the best of both non-ablative and ablative wavelengths. I can precisely dial in the exact treatment patients need for amazing results within the desired downtime. With Halo, I can achieve results which I would have only expected from an ablative fractional laser, but get downtimes that I would normally see with a non-ablative fractional laser. It really is the best of both worlds. Every Halo treatment is customized for your skin, and your lifestyle. Depending on your needs, your provider may recommend a single treatment, or a series of treatments. Please visit us at Vibrance Med Spa for your free skin consultation.